For today's post, I wanted to do a little reviewing on the Phil Smith Argan Oil sample that came with this months Cosmopolitan. Just in case you haven't bought your issue yet, Alesha Dixon is on the front cover. It's full of gorgeous summer outfit ideas so as well as a nifty free sample, so you can also get summer inspired! 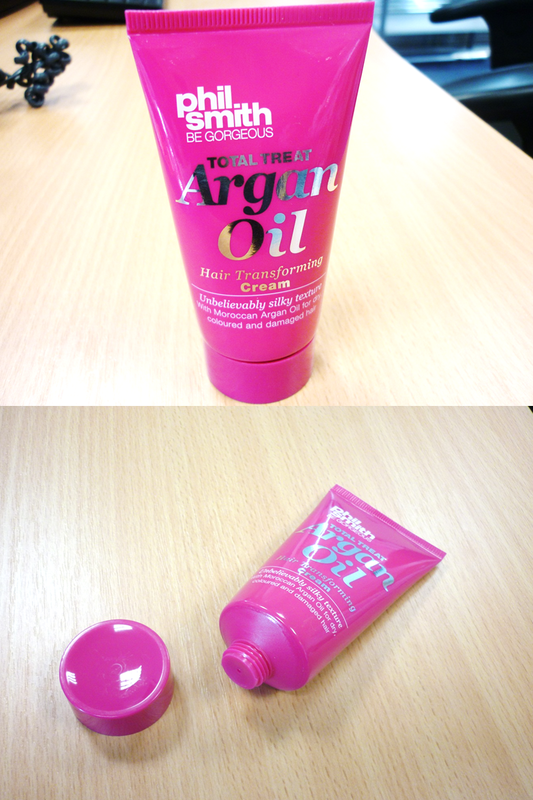 :) Now, the Phil Smith Argan Oil is amazing - the packaging says it is a "Hair transforming cream" and what I've learnt about argan oil creams is that they are really great for adding sleekness to your hair without being to heavy. What sticks out most for me is the smell, it smells incredible! It's hard to describe the smell, but I would have to say it's quite fruity. I've used the cream this morning to keep any loose strands coming out of my pony tail! You can use this on damp hair before you blow dry it, but I also like using a pea size amount as a serum to get rid of frizz when I've styled it with flat irons etc. Oh really? I really recommend this oil though, such a good product!